HELENA — A Helena judge was listening to arguments on whether the Green Party should be allowed on the ballot. Now we are going to a different venue. 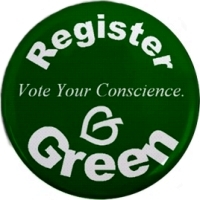 The reason for this energy around the Green Party is disenfranchisement of citizens and anger of voters in Montana with the two wrong-headed machinations of the corporate mainstream parties. Everyday people want real change. We need to invest in peace, people and planet instead of exporting terror, munitions and war. Are you Interested in defending your civil rights? WE NEED YOU TO STAND WITH US IN THIS FIGHT TO DEFEND OUR CIVIL RIGHTS!